Are you looking for some way to give your home a makeover? Do you feel like you could give it a better touch if you knew how the average interior designer thinks and creates designs? If so you may have tackled issues learning softwares, looking at tutorials online to no avail. But no worries. Time to saddle up and take up learning from some of the best free interior designing softwares that anyone can use. You could be a artist who wants to brush up on some home design skills, an interior designer looking to add some skill to his/her name or just an average Joe who loves designs. Check the file types that the software supports. Check reviews from users about how simple it is to use the software. Check for the frequency of updates that the software has. Check for its compatibility with operating systems. Test drive by making a simple design and see how long the system takes to render it. 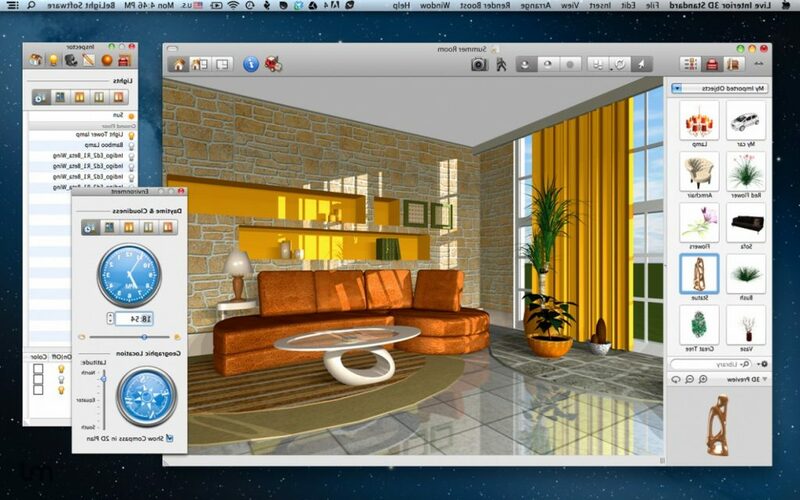 HomeStyler allows you to create your home designs in 3-D for absolutely no price. It is an online tool where users can get to designing without signing up or downloading any software. You can download the full-featured program with separate tools for interior design and décor design. The software has a catalog that consists of a large collection of items and accessories which can be added easily to the designs. HomeStyler allows for simple drag and drop additions of doors, walls, designs and windows in just seconds. Designs can be viewed for both 2-D and 3-D. All designs can be stored online by creating a free account. 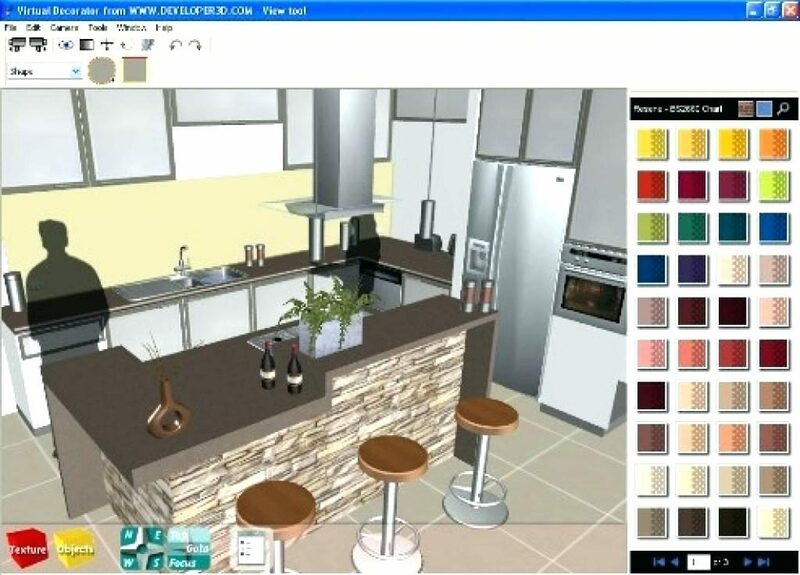 HomeStyler has a unique viewing palette that allows users to create designs and view how the interiors would look like in real time. Roomle is a free interior designing software available online. You need to signup before using the tool which is entirely free. An excellent tool for beginners as the system has expertly embedded tutorial videos that describe how to use Roomle. 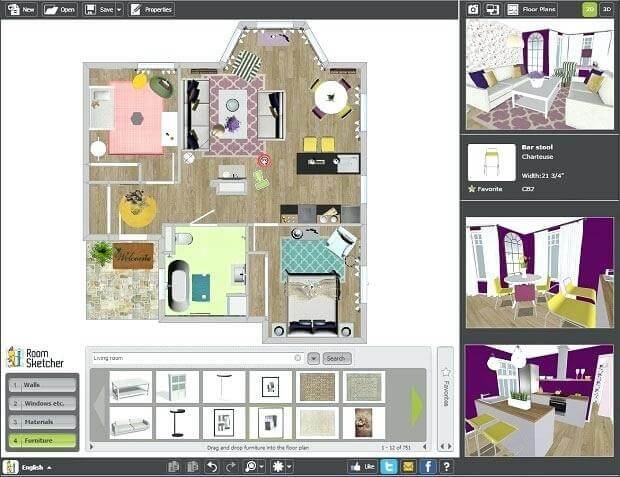 It is a colorful and interactive tool that helps you create interior designs in minutes. Registered users can save and share designs. Sketches and designs can be saved on Roomle and it will suggest floor plans accordingly. The interface is highly intuitive with options for wall creators, appliance placers, furnishers and designers. Exact measurements of every item can be adjusted for detailed drawings using the measurement tool. Completed designs can be viewed in detail with the 3D view as it would appear in real time. The view is yet in its beta phase and is being updated frequently by the creators. Many users would love Place Pad on giving it a go as it provides a more unique method of designing home interiors. The software is basically a sketching platform. Contrary to the design and drop feature, it asks you several details such as the number of bedrooms, décor sizes, number of tables , doors, accessories and so on. Designs for all common home interiors are available and can be worked on without any complications. All rooms and accessories can be arranged as per a basic layout without being overloaded with too many features.. The software can be used without any download or sign up. Somewhat less user friendly as compared to Auto Desk Home Styler. Initial interior design plans can be created along with walls and windows. Exact dimensions of the objects can be placed so that it resembles the actual layout. Colors and accessories can be added to the designs as well. Has a slightly steeper learning curve when compared to other softwares but makes up for it by having capabilities for multiple room viewing and full scale 3D navigation with reasonable rendering speeds. A popular interior designing software whose interface matches the ‘Ribbon’ in the Office suite. It is a professional and innovative tool more suitable for architectural functions. It can insert panels, concrete, walls, doors, glass panels, roofs and stairs. Images from the Google 3D ware house can be uploaded and added as well. It is supported by a number of online catalogs and has a powerful renderer. pCon Planner is not online so it has to be downloaded to be used. Users will also have to register to use which is entirely free. It is compatible with all major operating systems. The software also has an innovative VR viewer which can allow users to view their interior designs almost as if they were living in it. Revit is a revolutionary BIM(Building Instruction Management) software created by Autodesk used mainly for architectural designs. Freeware, as well as paid versions, exist which more or less share the same features with the exception of certain publishing rights being placed in the free version. Revit is time oriented software which means that designs once created can be analyzed to see the amount of time required to construct the interior designs. Revit has a revolutionary 3D cursor styled layout with a user friendly interface that makes it simple to use and navigate. Available for all major operating systems, Revit has multi-storey construction capabilities so that interior designs for various floors can be viewed at the same time. Interior Design Software made interior designing easy. Draw a floor plan in minutes, furnish and decorate rooms and see your interior design instantly in 3D.